EHR & Practice Management Consultants, Inc. is a privately owned healthcare technology global consulting firm headquartered in Illlinois. EHRPMC was founded in 2009 and became well known for providing physician groups and hospitals with expertise around their healthcare technology systems. EHRPMC consultants have in-depth experience in over 300 EHR, practice management, and patient portal systems. Our team members have been involved in the selection, contract negotiation, project management, implementation, training, meaningful use assistance, optimization, customization, reporting, analytics, security, and safety of many EHR, practice management, and patient portal systems. These systems have remained crucial cornerstones for EHRPMC of additional service lines in the pursuit of providing health systems, clinics, and practices with a comprehensive suite of services. Optimization, Security, and Analytics are some of our service lines gaining strong grasp withing the healthcare marketplace. EHRPMC has been involved in optimizing workflows to elevate practice collections, create time efficiencies, and increase the number of patients seen in a shorter time period using electronic medical records. Optimization efforts by EHRPMC have allowed providers more face time rather than computer time with patients due to implementing features in systems to make them easier and faster to use at the point of care. Our Privacy/ Security experts have helped our clients avoid a potential breach of their EPHI. As well as our Privacy/ Security Assessments and Supporting Documentation and continuing education has passed Meaningful Use Audits. Our Analytics consultants have compiled findings to assist providers with better ways in which to monitor patients to increase their patient outcomes. Our mission is to incorporate our expertise and empower providers to make better decisions in selecting and implementing EHR, PM, and Patient Portal systems to reach Meaningful Use, System Optimization, Securing Electronic Patient Health Information, and Providing Analytics data to assist providers to help their patients with better health outcomes. EHRPMC has further expanded into the payer market where they have helped clients such as HCSC and Wellpoint build applications that help bridge the gaps between payer and practice management systems. The reason why EHRPMC has been called in to do this work is due to their in-depth knowledge on how the practice management systems are both used, built, and implemented. Also, it is based on EHRPMC’s consultants understanding of how the clearinghouse activities are used in conjunction with these revenue cycle systems to help bridge any gaps to create efficiencies with claim submission (including workers compensation). Over 40 private equity, investment, hedge funds, and private software firms seek consultation from EHRPMC in regards to EHR, Practice Management (billing and/ or scheduling), Patient Portals, ICD 10, PCMH, Price Transparency, and other cutting edge technologies that integrate or interface to these products. 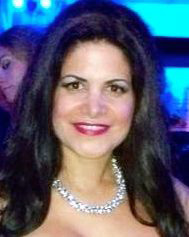 Vanessa Bisceglie MBA, B.S., President of EHR & Practice Management Consultants, Inc. personally takes part in all research and consultancy given by her team of qualified staff. She brings together EHR / Practice Management / Patient Portal consultants, legal counsel, IT professionals, social media/marketing professionals, insurance carriers, and software vendors. Her experiences in Healthcare IT ranges from EHR & Practice Management systems, Clinical Decision Support, Analytics, ACOs, HIEs, PQRS, SAFER Guides, Price Transparency, Patient Portals, and HIPAA Privacy/ Security Assessments & Mitigation Plans. Her 14 years of experience has included involvement in every aspect of the sales process and implementations for top ambulatory and hospital vendors. Vanessa received her Bachelors in Biology with a Minor in Chemistry & Ethics and an MBA in Healthcare IT, Marketing and Management, with honors in the top 5th percentile of all MBA students nationwide from Loyola University Graduate School of Business. She went on to score in the top 25% of MCAT test takers in the sciences and was accepted to several prestigious medical schools. Her background in legal class work emphasized contract law and medical malpractice defense led her to work for Ruff, Weidnaar & Reidy (medical malpractice defense firm). Currently, she is pursuing her second Masters in Analytics from the University of Chicago. In 2014, Vanessa has been voted as one of the Technology Woman Leaders in Chicago by TechWeek. Vanessa’s passion is to help physicians in every aspect of their IT related needs: creating efficiencies, increasing revenue and ultimately saving lives. We recently hired EHR & Practice Management Consultants, headed by Vanessa Rose Bisceglie to do a Practice Risk Analysis for our primary care medical office. The services we received were thorough, detailed, prompt and thoughtful. We would highly recommend them to anyone in need of these services. Vanessa was a wonderful asset in our agency's search for an EMR. She helped guide us through the process from selecting vendors, to creating criteria for evaluating them, and through contract negotiation. Vanessa helped us ask important questions and negotiate terms that we otherwise would not have thought of. I would highly recommend working with Vanessa.